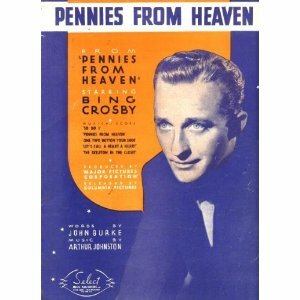 “Pennies From Heaven” was introduced by Bing Crosby in the 1936 film of the same name. It’s one of the classic Great Depression songs. “Pennies From Heaven” was recorded on December 30, 1958 and released in 1959 on the album In Person! . It was arranged by Ralph Sharon. 1999: Mobile Fidelity Sound Lab CD: UDCD743 — In Person! 2011: Disc #14 in The Tony Bennett Complete Collection (88697874602-JK14) In Person! “Pennies From Heaven” was recorded live at Tony Bennett’s concert at Carnegie Hall on June 9, 1962, but was not released until 1997 on the album Tony Bennett at Carnegie Hall: Complete Concert. Ralph Sharon arranged the song.